Your mother was right. 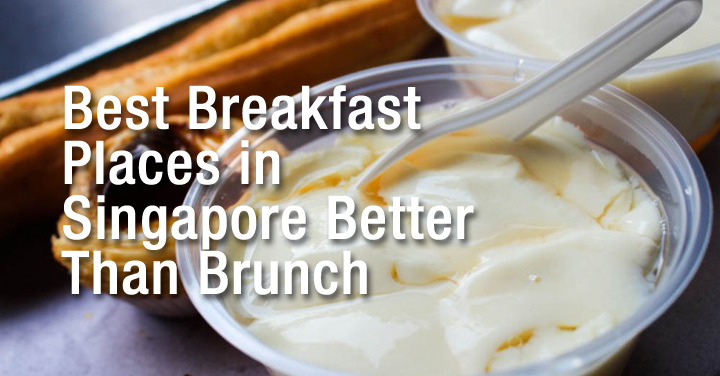 Breakfast is the most important meal of the day, and you deserve the best that Singapore has to offer. In this fast paced society of Singapore we live in, a hearty, wholesome breakfast really does wonders in both lifting your moods and providing you the energy to power through the day. Amidst the hype of all the fancy new brunch places popping up around the island, we thought to bring you a list of local places that open before 11am instead; Breakfast does come before brunch. From humble kaya toasts to intricate xiao long baos, we trawl Singapore to find you some of the country’s best affordable breakfast spots. Big Prawns and Pork Rib Noodles, Dry ($5.50). Tucked away in the arcs of Tai Thong Crescent sits an old coffee shop, unassuming yet constantly humming with activity. 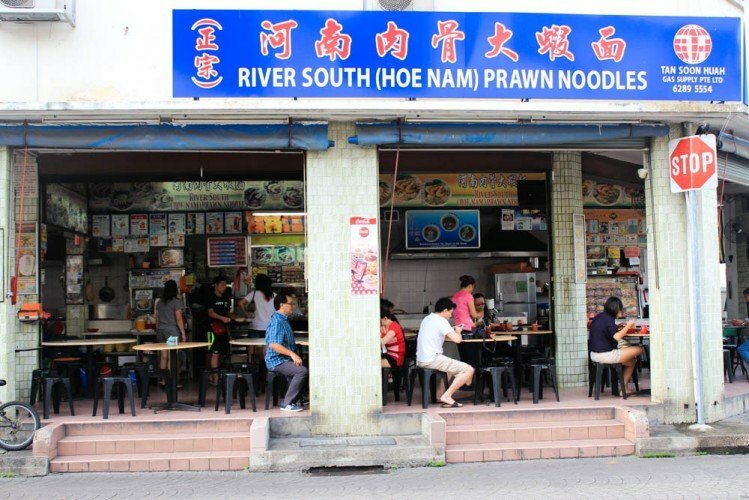 River South (Hoe Nam) Prawn Noodles has been generating serious buzz amongst food lovers for its simple, unfussy bowls of fresh prawn noodles. 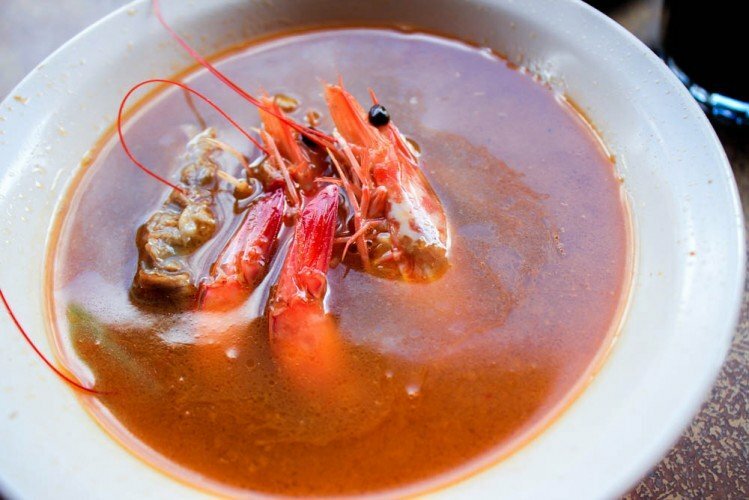 The prawn soup was robust and packed a flavour so intense and rich that it was impossible to stop after the first sip. 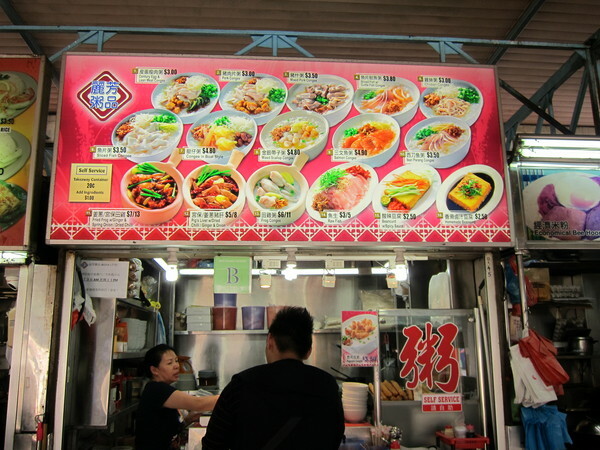 A quick dialogue with the stall owners revealed that the delicious soup is a result of the boiling of a huge amount fresh prawns and pork bones, which are left to seethe for over 24 hours. The soup was accompanied by well-prepared noodles which brought about a spongy consistency, and coated in a thick, flavourful broth. You are able to choose from a variety of ingredients to go with your fresh prawns such as pork ribs, pig tail and baby abalone. A popular haunt for many locals and executives working in the area, this is definitely one of my favourites. 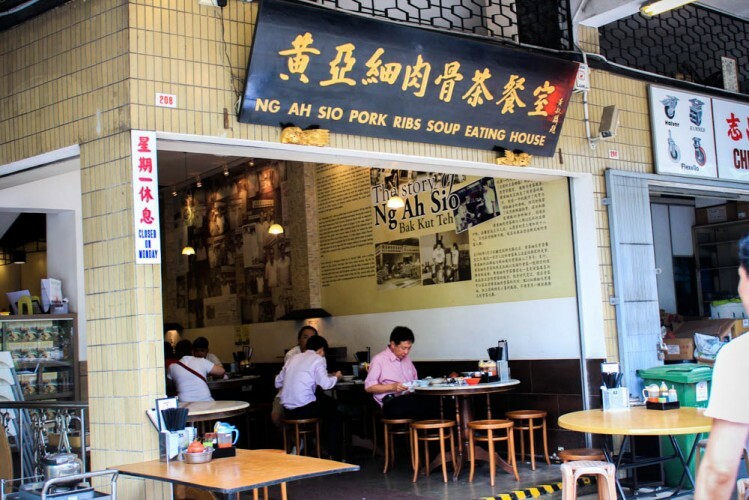 Singaporeans were blessed with several top quality Bak Kut Teh stalls that introduced the meltingly tender slabs of pork ribs swimming in complex broths of herbs and spices, and Ng Ah Sio Pork Ribs Eating House is one of them. The herbal broth is strong in taste yet not too complex and overpowering, it was very easy to make out the aroma of pepper and garlic. 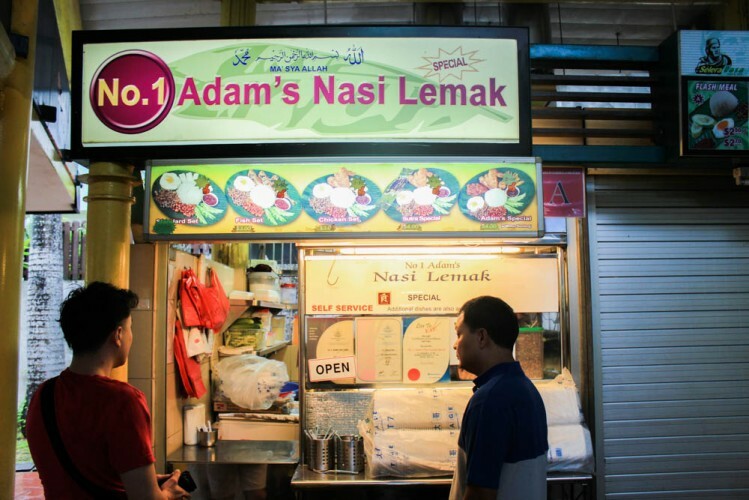 The combination of the two, together with pork ribs and a blend of herbs resulted in the hallmark robust flavour that Ng Ah Sio is best known for. Universally adored by the masses for its traditional Teochew coffee shop atmosphere and choicest pork ribs, expect the venue to be perennially packed, even for breakfast. 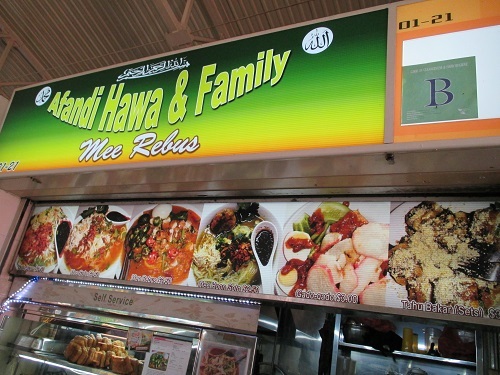 Indulge yourself in a little piece of the Malay culture in Haig Road Food Centre with a humble bowl of Mee Rebus from Afandi Hawa and Family. 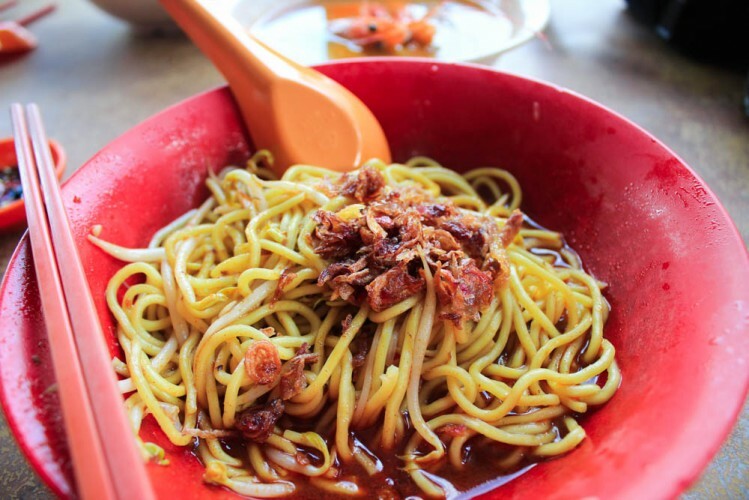 A thick, rich broth coats the yellow noodles in a mass of delectable flavours. 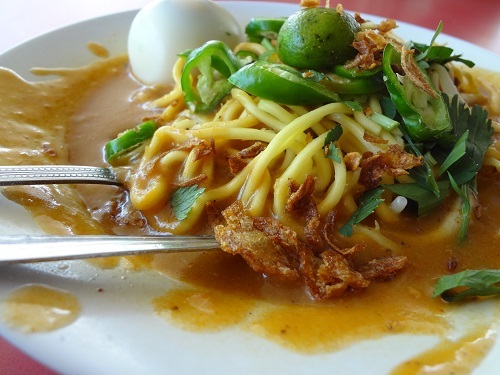 I’ve never been one to appreciate Mee Rebus (not really a yellow noodle fan), but the noodles here are definitely not a force to be reckoned with. Done to al dente perfection, the noodles boast a springy consistency and was truly delicious. If you’ve got a hankering for a good bowl of fish soup to start your morning right, look no further than Zion 91 An Shun Fish Soup. With a growing reputation for its unique take on the well-known Singaporean seafood dish, this one is a must-try. 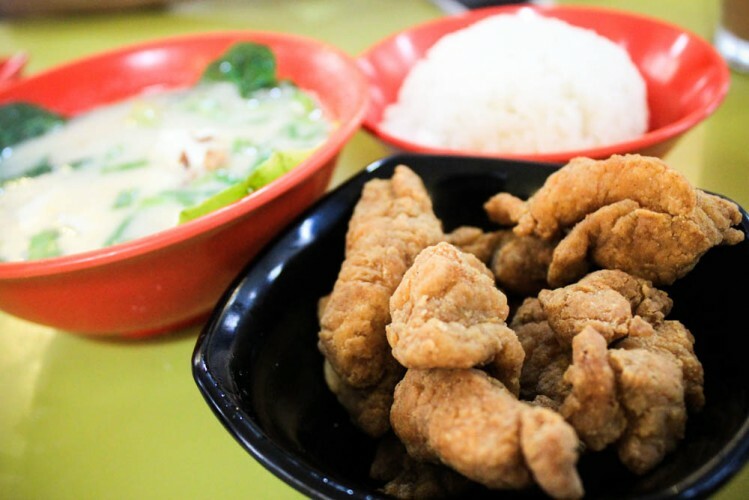 Breaded fish freshly fried to perfection is served separate from the bowl of soup to maintain crispness, unlike the conventional modus operandi of most fish soup stalls, whereby the fried fish bits are immersed into the soup. Sink your teeth into the boneless bite-sized chunks of fish to uncover an incredible burst of flavour. The soup is clear yet distinct in taste, nothing too complex but just enough to coat your palate with a slight piquancy. 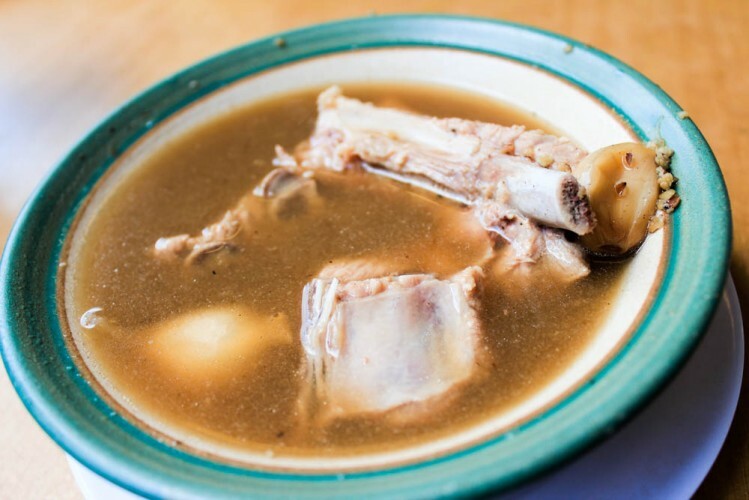 If you’re a fan of thick, creamy broths like me, don’t be shy to ask the “Uncle” to add evaporated milk to your bowl of soup for a thicker, concentrated flavour! 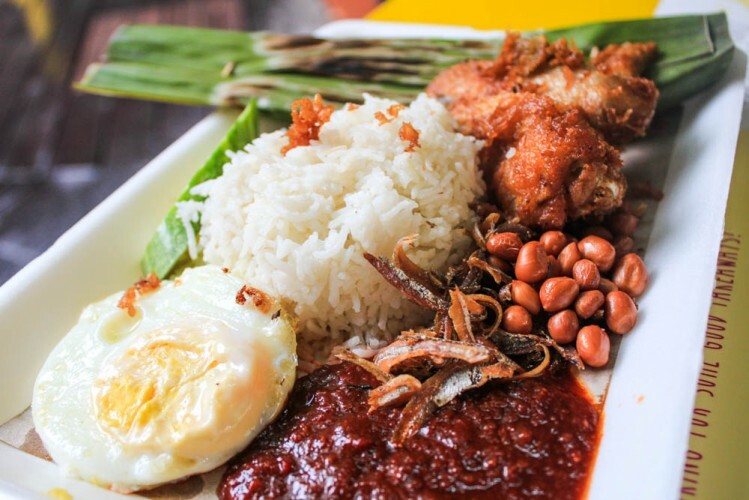 From a variety of set meal options to choose from, we settled on the Sutra Special which consisted of a piece of otah, a chicken wing, fried ikan bilis and peanuts, an egg and rice. The ingredients of the dish are first-rate, the chilli absolutely fragrant, however the highlight has definitely got to be the rice. Featuring a variety of long grain rice called the Basmati, which literally translates to “fragrant”, the rice has on its own a typical pandan-like flavour. Coupled with the infusion of coconut milk, the rice is good to eat on its own. 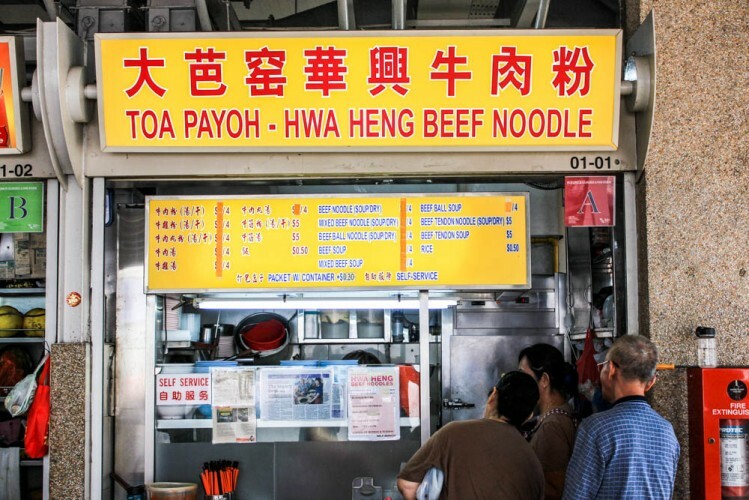 Comprehensively ornamented with positive reviews plastered over the glass panes of the stall, Toa Payoh Hwa Heng Beef Noodle is a legendary spot unbeknownst to only a handful. The “dry” version came with a bowl of soup and a bowl of noodles coated in a very thick broth that was very stout in flavour. I was also very pleasantly surprised to spot specks of minced beef swimming amongst the braised gravy. Just be sure to mix the noodles and broth well, it might get a little too salty should the sauce-to-noodle ratio run wild. 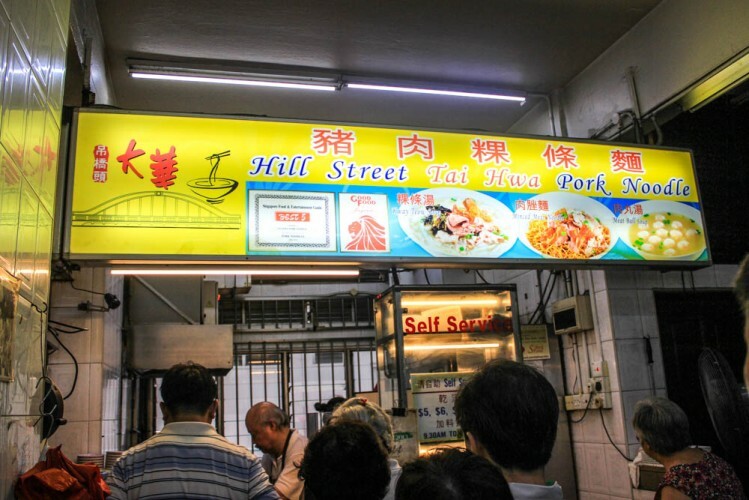 Easily making it into my list for being both the most and least favourite places to dine at, Hill Street Tai Hwa Pork Noodles is literally the quote “happiness is worth the wait” in a physical form, with a touch of “grumpy” in there as well. We stood in a queue for almost 40 minutes just to acquire a bowl of minced pork noodles, but I would say we were handsomely rewarded for our patience. 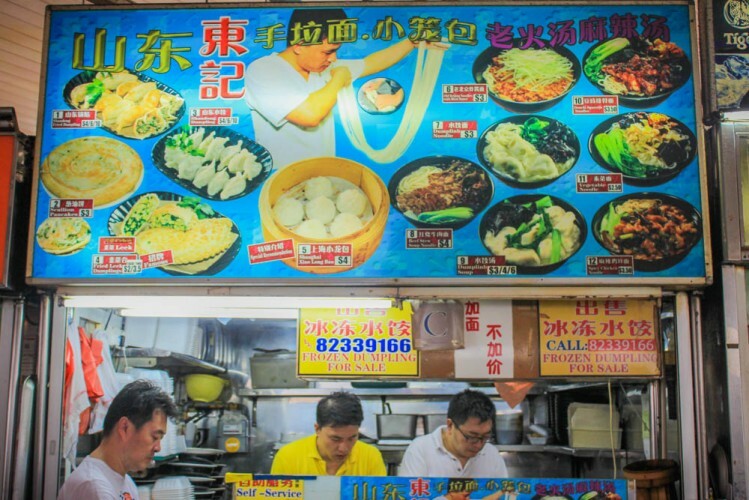 I wouldn’t go so far as to label it the best Bak Chor Mee (minced pork noodles) in Singapore, but I can understand the reason for its huge number of loyal followers. 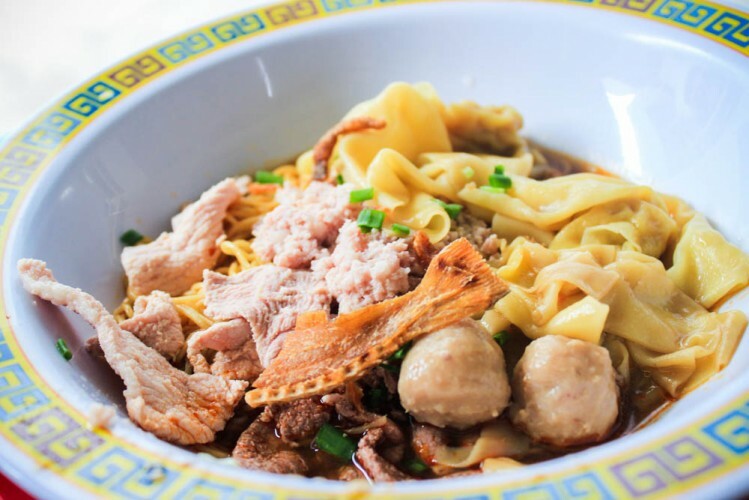 A perfect synchronization of vinegar, pork, noodles and chill, topped with delectable wantons – it is indeed a textbook ‘A’ grade dish. The noodles grew on you the more you ate them, featuring a springy consistency that I really enjoy. My only qualm is that the serving was a little too small, and I was famished from all the queuing. Ah, the self-effacing carrot cake, the dish almost all locals can identify and are familiar with. Since its humble advent on our shores, the Chai Tow Kuay (literally translates to white radish cakes) have taken on several analogous forms; some are fried with sweet black sauce, some fried plain. Not as decorated as many of its modern-styled counterparts, the folks at Song Zhou Luo Bo Gao stuck to their roots and have been producing traditional servings of radish cakes stir-fried with eggs, preserved radish and other seasonings, forsaking impractical decorative garnishes. 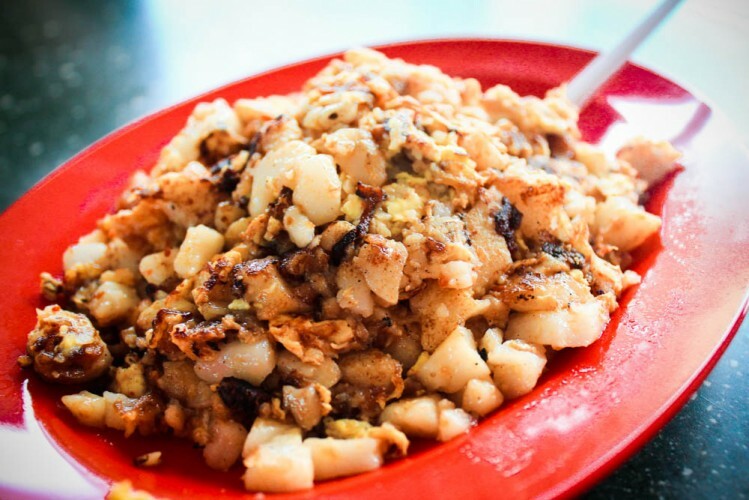 Comprising of a generous amount of chye por (salted white radish) and garlic, the carrot cake is expertly fried to a fragrant heap of disarray, just exploding textures of various tastes waiting to be discovered. 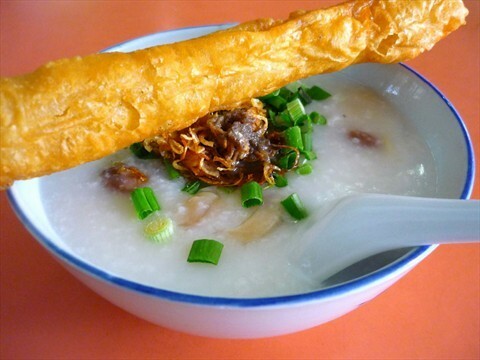 Trouncing scores of its congee counterparts to rank top in my “Porridge Hall of Fame” is Li Fang Zhou Pin, a humble little porridge stall first setup at ABC Brickworks Food Centre in Bukit Merah, then moving to Queen Street. The key element that really impressed me was the consistency of the porridge, heavy and copious yet very smooth throughout. Served with a piece of fried doughstick, you get to choose from a wide array of dishes to go along with the porridge, such as shredded chicken, slices of fish and even salmon! 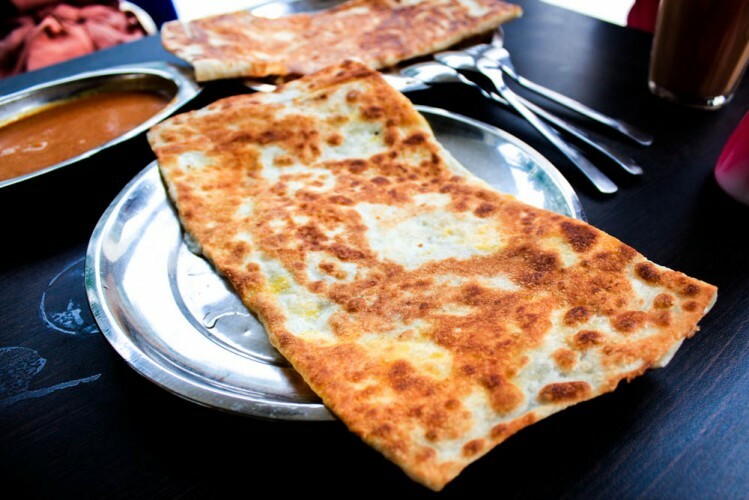 What’s better than enjoying a hearty serving of delicious Roti Prata and Indian cuisine? Enjoying a hearty serving of delicious Roti Prata and Indian cuisine in an air-conditioned restaurant! 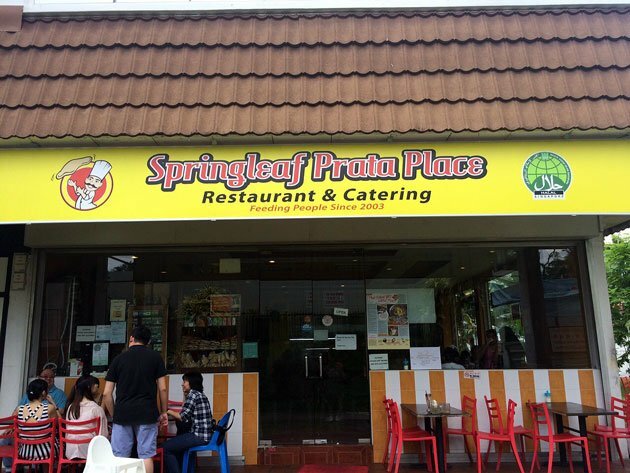 Call me a “mountain tortoise” (slang for country bumpkin), but this is the first air-conditioned prata house I’ve been to. The prata was exceptionally good, and went along very well with the wide range of curries they had available. The crust was thin yet substantial, and the amount of cheese in my cheese prata was very generous as well. Fried to a crisp on the outside, yet warm and soft on the inside, definitely one of the better pratas I have eaten. 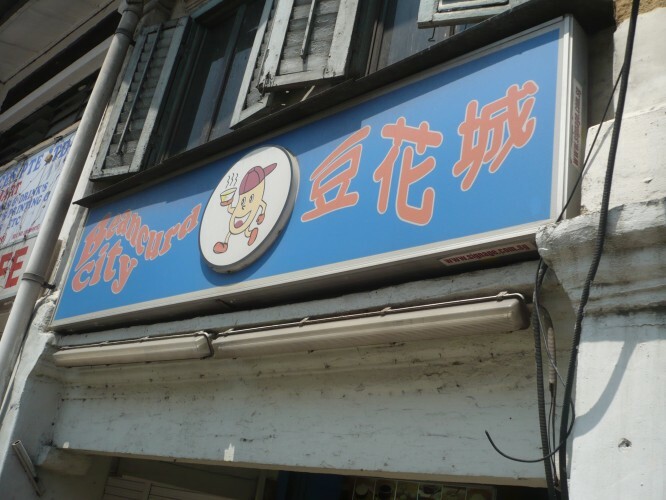 Kway chap lovers, rejoice! Gone are the days of worrying whether the delicious ingredients of pig stomach and intestines have been cleaned or washed thoroughly because they smell ‘funky’. 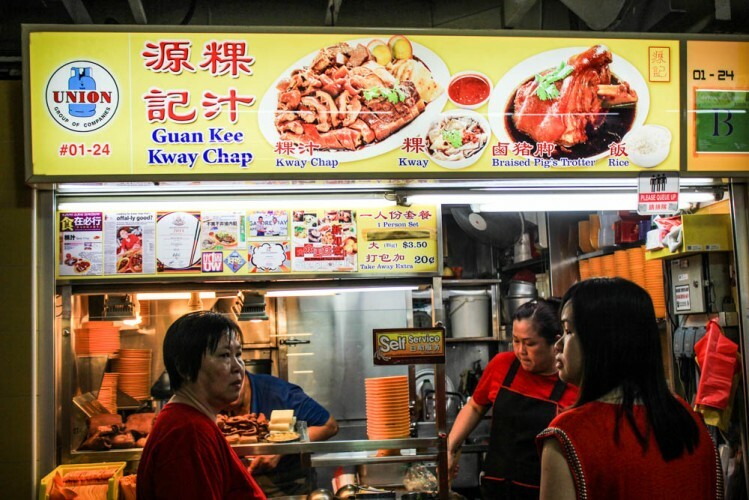 The innards served at Guan Kee Kway Chup are sliced open and thoroughly washed, each piece looking clean and fresh without compromising on flavour. The accompanying braise is slightly herbal, and the ingredients go very well with the slightly sour chilli sauce. 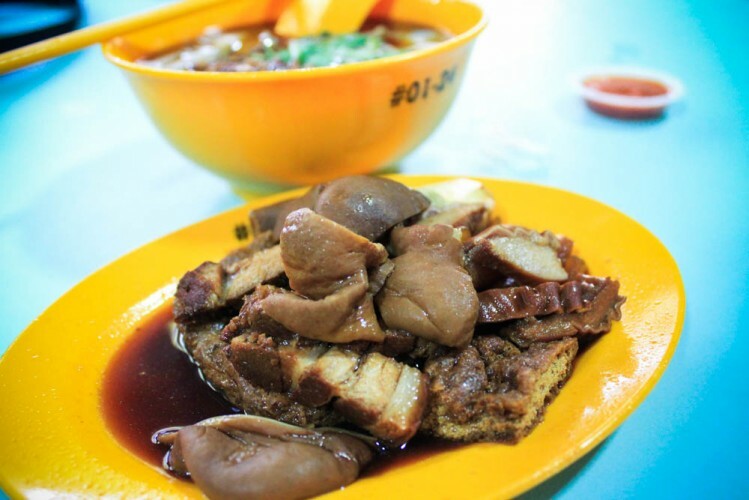 Guan Kee opens the latest in this list, at 11am instead, but it’s so good we had to include it in as a late breakfast option. 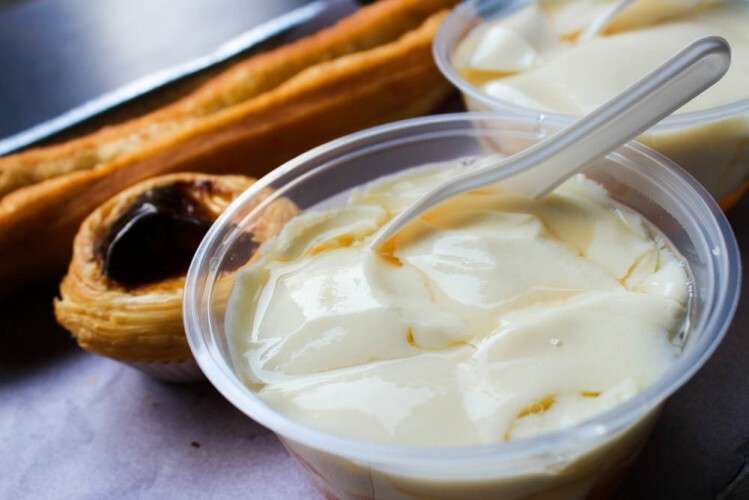 Gastronauts have discovered the magic formula to an exceptional breakfast: dipping greasy doughsticks into fluffy, syrup-coated tubs of beancurd. 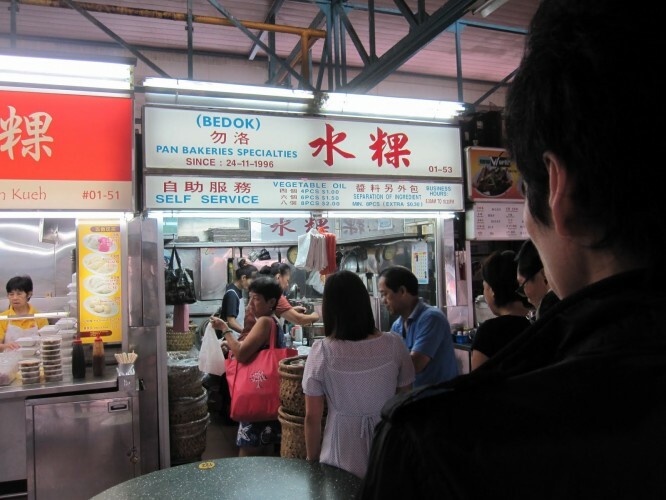 Situated beside the reknowned Rochor Original, Beancurd City is actually the product of a dispute between brothers, both owners of each stall respectively. Frankly I find not much of a difference between either stall, but many beancurd aficionados will beg to differ. Beancurd City’s rendition of the tauhuey has a very smooth consistency that we really enjoyed. Dipping a golden brown fried doughstick into the bowl of lukewarm beancurd just sets you up for an experience so heart-warming and stomach-satisfyingly good, that you’ll find yourself smiling throughout the entire meal. You were looking out for this one, weren’t you? 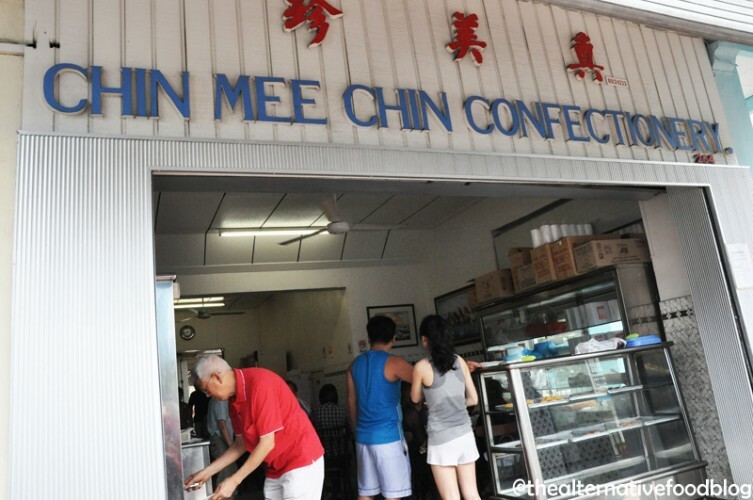 Chin Mee Chin Confectionery is indubitably the place to go to if one were to pine for wholesome and authentic traditional Singapore breakfast sets, which conventionally consists of kaya toasts, half-boiled eggs and a fragrant cup of kopi-o. Be charmed by the marbled table-tops and wooden chairs, the hushed whir of its old-school ceiling fans and the simple plates and cutlery that were a much familiar sight decades ago, back in Singapore’s version of the Rococo Age, if you will. Be sure not to give the Chin Mee Chin Kaya Buns a miss – lightly toasted buns generously lathered with kaya and butter which gently melts on account of the warmth of the buns. 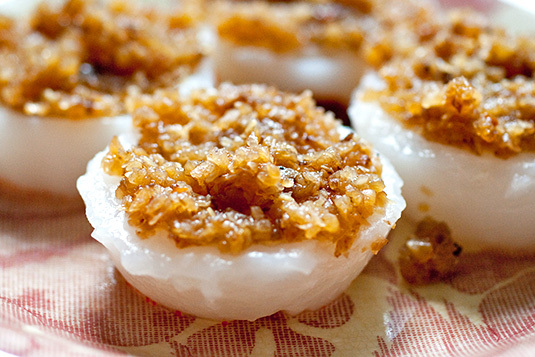 When it comes to local breakfast delights, these steamed rice cakes need no introduction. 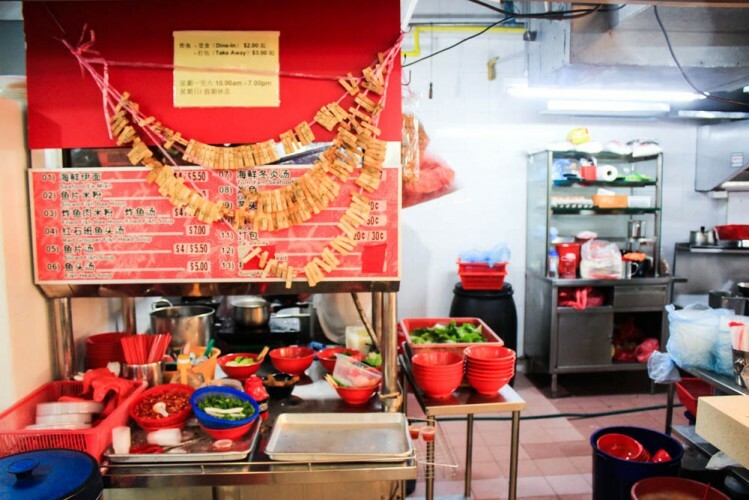 Available in most market hawker centres, the chwee kuehs come in 5-7 pieces a serving, topped with diced preserved radish (chye por) and chilli sauce, and the mark of a truly great Chwee Kueh is the perfect amalgamation these elements. Bedok Chwee Kueh, which has 5 branches now instead of just the one at Bedok, seems to have mastered the art of the Chwee Kueh. 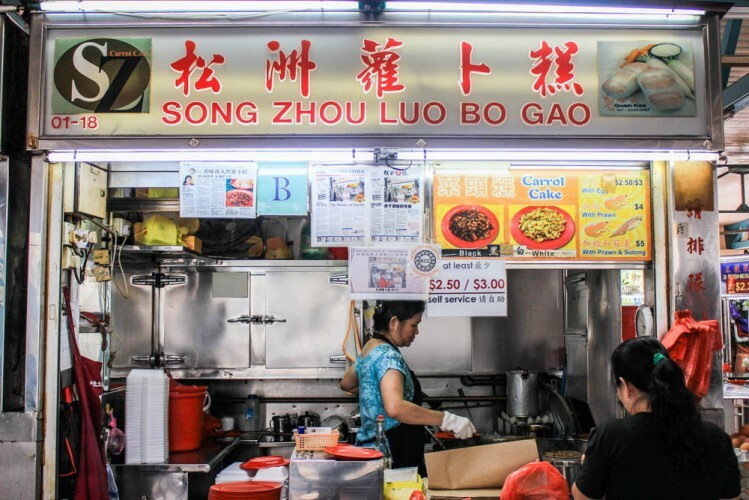 You’ll never forget that first sumptuous bite of the combination of their steamed rice cakes of perfect consistency with the sweet and slightly salty chye por, complete with the spicy kick of the chilli sauce. Polishing every last bit of chye por off the plate is mandatory, the “shiok ah!” after that is optional. 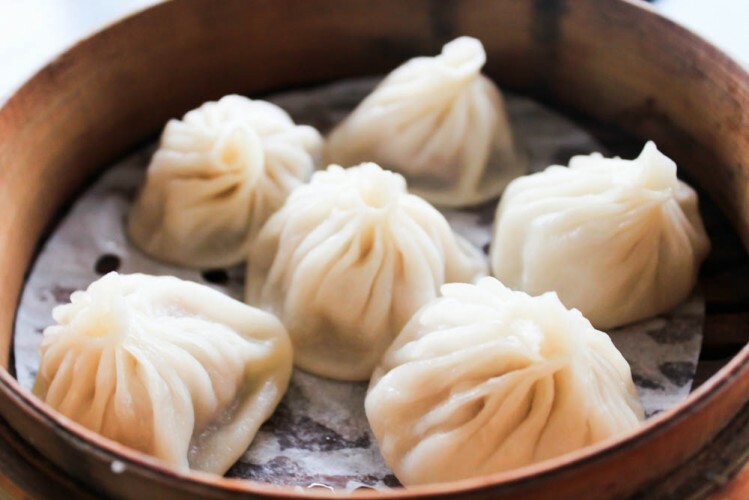 Finding xiao long baos of good quality only in posh restaurants with steep prices are a thing of the past, these soup dumplings are a common sight in most hawker centres nowadays. Not the most conventional of Singaporean breakfasts, the Dong Ji Xiao Long Bao is, however, an all-in-one package. The uneven circular cascade of ripples around the crown of each dumpling indicates that each dumpling is handmade. 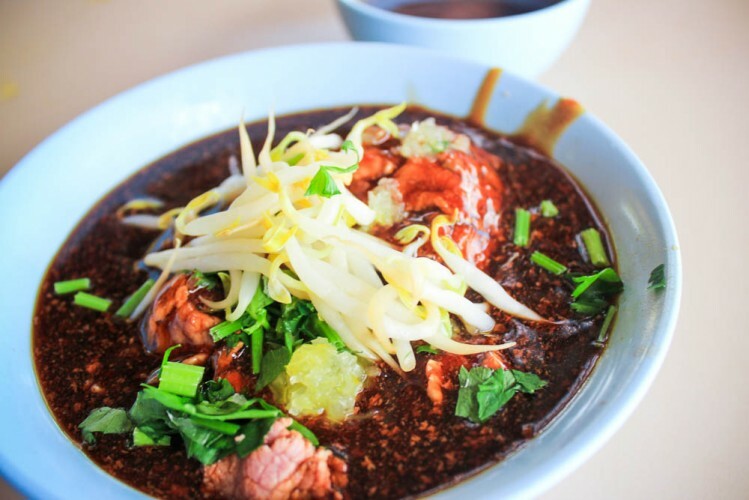 Tender and smooth skin made of dough delicately enveloping mouthwatering doses of minced pork, amongst other ingredients, as well as a savoury serving of soup within that explodes in flavour upon entering the mouth. 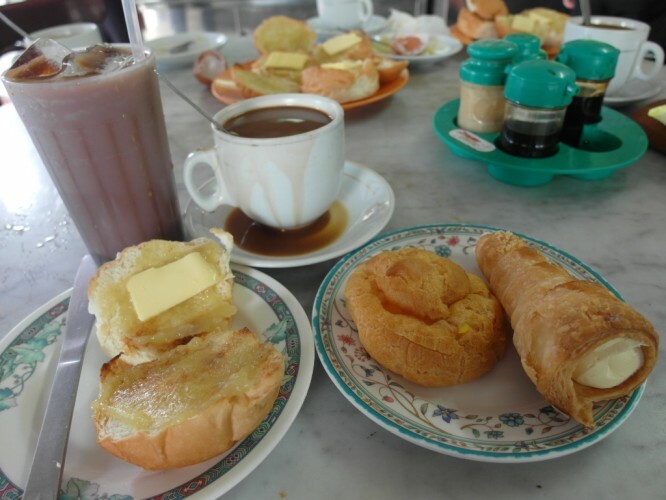 Are there any other favorite Singapore breakfast dishes or spots you like? Leave a comment below and let us know!